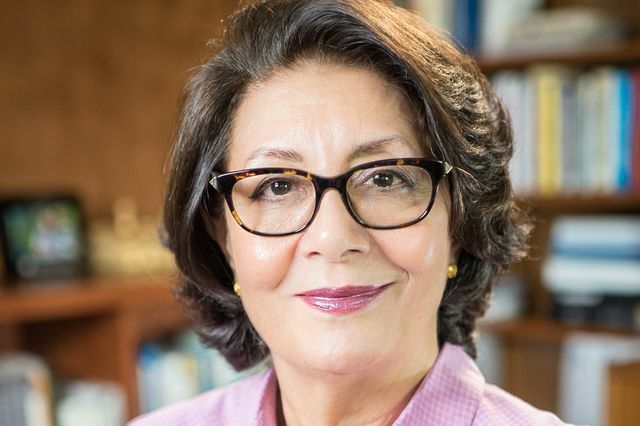 Elahé Omidyar Mir-Djalali, a renowned linguist, founded Roshan Cultural Heritage Institute in 2000. A donation of $1 million from Roshan Cultural Heritage Institute will establish the Elahé Omidyar Mir-Djalali Postdoctoral Fellowship in Iranian Linguistics in the UCLA Department of Linguistics, one of the nation’s top-ranked linguistics departments. Named for the renowned linguist Elahé Omidyar Mir-Djalali, the fellowship will promote research on the linguistic heritage of Iran, focused on Persian and Iranian languages. Mir-Djalali is an expert in language education, cross-cultural communication and Persian studies. She was a faculty member at Georgetown University and UC Berkeley and holds a doctoral degree in linguistics with honors from the Sorbonne in Paris. Roshan Cultural Heritage Institute, which was founded by Mir-Djalali in 2000, supports cultural and educational activities and nurtures new educators who can preserve the transmission and instruction of Persian language and culture. The institute has awarded several million dollars in grants to establish and strengthen Persian academic programs at prestigious universities in the U.S. and around the world, including the Elahé Omidyar Mir-Djalali Fellowship for Excellence in Persian Studies, which was established at UCLA in 2002. The UCLA linguistics department’s doctoral program has consistently been ranked as one of the top two or three such programs in the U.S. The department began as an interdepartmental graduate master’s program in 1960. A doctoral program was introduced in 1962, a bachelor’s program was added in 1965, and the department was formally established in 1966. “We are profoundly grateful to Roshan Cultural Heritage Institute, whose grant expands on years of engagement with UCLA and will allow us to bring the finest postdoctoral scholars to our campus,” said David Schaberg, dean of humanities in the UCLA College. Following a national and international call for applications, the Elahé Omidyar Mir-Djalali Postdoctoral Fellowship will be awarded to a scholar holding a doctorate in Iranian languages and linguistics or a related discipline. The Elahé Omidyar Mir-Djalali Postdoctoral Fellow will be expected to teach courses and conduct research in the field for a two-year term with the possibility of a one-year extension. Tim Stowell, co-chair of the department, said that thanks to Roshan Cultural Heritage Institute’s generosity and vision, the department would solidify its status as a premier destination for the study of Iranian linguistics.